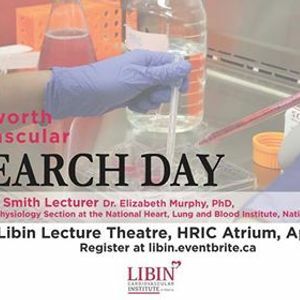 The Tine Haworth Cardiovascular Research Day is an annual event that showcases the research of trainees at the Libin Cardiovascular Institute of Alberta. 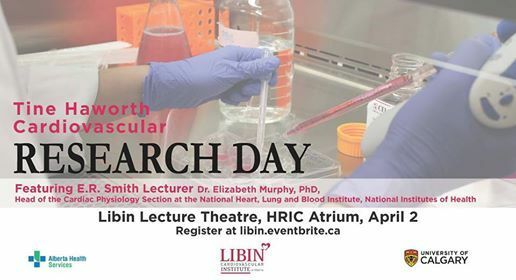 The event features a poster competition and oral presentations, as well as the ER Smith Lectureship, which this year will feature Dr. Elizabeth Murphy of the National Institutes of Health. This free event is open to the public. Join us for an inside look at the the cutting-edge research ongoing at the institute. 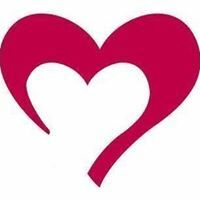 The future of is bright in cardiovascular research!